If you’re going through a divorce or dispute with an ex over child custody, you may have tried to conduct your own research or read through the legal documents related to your case, only to find your head swimming as you tried to decipher unfamiliar legal terminology. 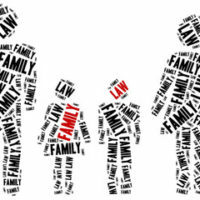 Below, you’ll find definitions for terms you’re likely to encounter during your Illinois family law case. Contact a seasoned Chicago divorce attorney if you have any additional questions. Alimony: Court-awarded payment from one spouse to another. Illinois now refers to alimony as maintenance and spousal support. Allocation of parental responsibilities: This is the term that Illinois courts use to refer to the concept of child custody. Parental responsibilities include various aspects of raising a child, such as payment for medical care, religious education, and extracurricular activity costs. Answer: the response to a legal pleading, such as a motion or complaint. Community property: Also known as marital property, this is the property or assets that the couple accrued during the marriage, which will be divided either by the court during the divorce, or by the spouses and their attorneys in a divorce settlement agreement. Complaint: A legal document filed with the court that requests some form of relief; either requesting a monetary award, the dissolution of a marriage, or an order requiring the other party to act in a particular way. Deposition: The interview of a witness or party to a case conducted by an attorney, under oath, often attended by a court reporter so that there is a written transcript of the interview. Discovery: The phase of a legal case during which the parties exchange documents, conduct depositions, and otherwise provide evidence requested by the other party that is relevant to the case. Divorce Decree: Also known as a judgment for dissolution of marriage, this is the court order that legally ends the marriage. Equitable Division: The division of the couple’s marital assets or community property in a manner that the judge finds to be fair. Hearing: A formal court proceeding that is slightly less formal than a trial, but where witnesses may be called to testify and attorneys may present oral arguments on an issue before the court. Marital Settlement Agreement: A written agreement, reached through negotiations between the spouses and their attorneys, that can divide the couple’s property, lay out obligations to pay spousal support, and divide parental responsibilities. Non-Marital Property: Property that is not considered part of the marital estate to be equitably divided, either because it was acquired before the marriage, using non-marital assets during the marriage, or is considered the spouse’s separate property for some other reason. Pendente Lite: Child or spousal support awarded while the divorce or custody dispute is ongoing. If you need help with a family law issue in Illinois, contact the compassionate, effective, and professional Chicagoland family law attorneys at Johnson, Westra, Broecker, Whittaker and Newitt for a consultation at 630-665-9600.